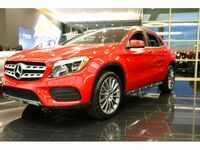 When luxury shoppers are looking for a well-equipped midsize vehicle, two top options are the 2016 Mercedes Benz GLA and the 2016 Mercedes-Benz CLA. Each of these vehicles offers compact dimensions that can handle easily in busy city environments without leaving drivers and passengers cramped. However, these two vehicles are different in their design. 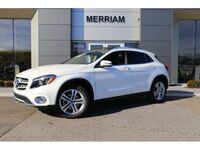 By comparing the 2016 Mercedes-Benz GLA vs CLA body styles, luxury shoppers can see which model might be ideal to buy or lease in the Merriam KS area. The luxury 2016 Mercedes-Benz GLA SUV is a compact crossover with a hatchback rear design. This means that it offers the tall ride-height of an SUV (which is more comfortable for offering good visibility in traffic) while also offering excellent, accessible rear cargo space. The 2016 Mercedes-Benz CLA is a compact luxury four-door sedan with coupe-like styling. It has a lower driving stance, but offer slightly better fuel efficiency than the 2016 Mercedes-Benz GLA, even through they have a similar powertrain. Cargo space is also a consideration when comparing the 2016 Mercedes-Benz GLA vs CLA body styles. The 2016 Mercedes-Benz CLA offers 13.1 cubic feet of space in its trunk for luggage, which is impressive in the compact sedan class. The 2016 Mercedes-Benz GLA doesn't have much more than that behind its rear seats (just 14.9 cubic feet) but with its rear seats folded down its interior space expands to 43.6 cubic feet. 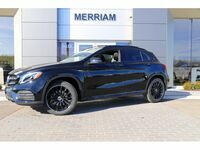 An individual who wants a little luxury for the daily commute will probably not need a huge amount of cargo space, but the 2016 Mercedes-Benz GLA might be the better vehicle in this comparison for someone with occasional larger hauling needs. Which vehicle in this body style comparison is best for the individual car shopper depends on lifestyle needs and driving preferences. Those seeking a compact and efficient commuting vehicle may prefer the slight mileage advantage that the 2016 Mercedes-Benz CLA brings to the road. However, those who prefer a taller ride-height and more cargo options may enjoy the 2016 Mercedes-Benz GLA. To learn more about either of these vehicles in Merriam KS, contact a member of the Aristocrat Motors sales team specializing in Mercedes-Benz vehicles today at 855-979-0607. *MSRP for a 2016 GLA or CLA includes transportation charge. Excludes all options, taxes, title, registration, other fees. Options, model availability, and price may vary. See dealer for details. *EPA estimated MPG. You may get different mileage depending on driving conditions and behaviors.